Several talks and posters of the BeMobil cluster. The TAR-Conference is an integral part of the BeMobil project. The aim is to promote the international exchange. The organizing committee of the conference is the cross-sectional project Q9 in cooperation with the Innovation Center Technologies for Health and Foods (IGE). Several BeMobil project partners are program committee members. The Innovation Cluster BeMobil was represented at a joint booth at the MEDICA in Düsseldorf. 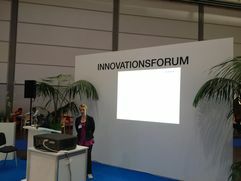 Demonstrations and lectures are presented in the HEALTH IT FORUM (hall 15/E56) and the TECH FORUM (hall 12/B46). You will find more informations about the HEALTH IT FORUM here . 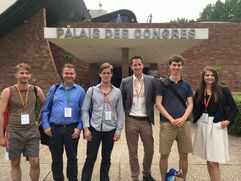 BeMobil was represented with two contributions at the International Conference for Neurorehabilitation (ICNR) 2016. Contents, results and prototypes from subprojects A3 and B2 were presented. You will find more informations on the Website . 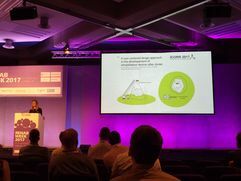 BeMobil was present with several contributions at the International Functional Electrical Stimulation Society  conference. Contents, results and prototypes from subprojects and cross-sectional projects A1, A2 and Q2 were presented. You will find more informations about the Conference here . 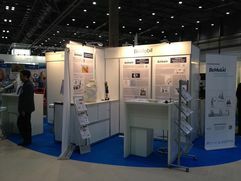 The Innovation Cluster BeMobil was represented at a joint stand at the OT World in Leipzig. Demonstrations, prototypes and lectures were presented. Here you will find more informations about the OT World and the programm.